Our instructors are chosen for their ability to empower students to explore, create and move beyond the traditional roles of their instruments. The confirmed instructors for Beyond Trad 2018 are listed below. Jennie Bice has been involved with music in some capacity all of her life. With a combination of classical and fiddle training from an early age, it was not uncommon for her to be active in both orchestras and old-time fiddle contests. Team that up with a family that loved (and still loves) to sing around the piano together and it results in a voracious appetite for jamming and collaborative music creation. Bice has performed with dozens of bands over the years, starting out professionally in Windsor, Ontario playing with bands such as, “Celtic Cross.” “Lynne and the Rebels” and “Skye Blue” as well as acting in many theatrical roles in summer and stock theatre companies. An opportunity arose to move out to British Columbia to explore some new musical territory, and so she spent a few years in Vancouver where she created the band “Prydwen”, a celtic folk rock touring group that performed throughout Canada and much of Scotland. It was a Prydwen mainstage performance at the Mission Folk Festival that inspired a moved to that B.C. city, and Bice has called Mission home ever since, where she and husband Joe Samorodin have built Annwyn Studios. a multi functioning recording, teaching and rehearsal space. Chris is a Multi-Instrumentalist currently living the dream on the front range of Colorado. He performs regularly on the Dobro with a couple Bluegrass bands and plays weekly with a traditional jazz band on the arch top guitar. He is Fanatical about Trad Jazz, Western Swing, Blues, Bluegrass, Jamgrass, Funk, R and B and skiing. Bassist Patrick Metzger took an interest in music at the age of twelve when he started playing rock & roll and blues with his friends in Nelson BC. He studied formally with Ron Mulvey, pursuing an interest in classical guitar through the Royal Conservatory of Music. Patrick went on to study jazz at Selkirk College and then at Capilano College. 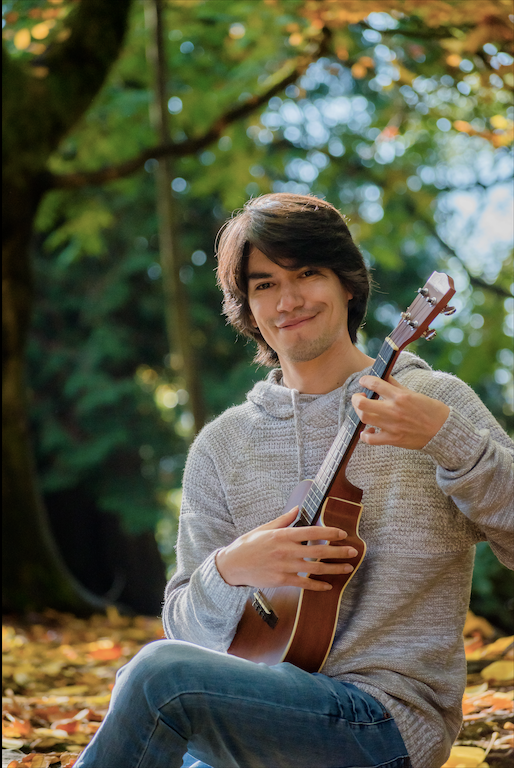 Patrick has always had an interest in all kinds of music and is at home playing a wide range of styles from jazz and rock to folk, bluegrass and old time. He has been a fixture of the Vancouver roots scene for the last decade; he is a member of John Reischman and Pine Siskins, Petunia and the Vipers, East Van Country Band and Viper Central. He s also works with Pharis and Jason Romero and Paul Rigby (Nico Case, Garth Hudson). In addition to teaching private music lessons, he also teaches at the St James Music Academy and Ruby's Ukes in Vancouver, BC. Cam is a multi-instrumentalist from Edmonton playing fiddle, guitar, mandolin, and banjo as well as an assortment of other stringed instruments. Playing in a wide assortment of bands from bluegrass, country, jazz, Balkan and a variety of fiddle styles, he is constantly exploring new sounds from far flung places. Over the past 7 years Cam has traveled the Roma trail from India to Spain several times researching and composing music inspired by these journeys. He has 2 CDs of original fiddle music as well as 2 new CDs of his band,The Gadjo Collective and a fiddle instruction DVD. Jack Ray is an Australian guitarist, banjoist and vocalist who has performed and recorded with some of Australia’s and the world’s finest musicians including, Angus and Julia Stone, Brad Shigeta, Kevin Louis, Jonathan Zwartz, Mike Price, Jim Elliot (The Cruel Sea), Amanda Brown (Go-Betweens) and many other great artists. Jack is currently based in Vancouver, BC and is in demand as a leader and sideman. He leads the groups The Milk Crate Bandits, The ’93 Project and The Jack Ray Organ Band as well as performing regularly with The Rossi Gang and The Jen Hodge All Stars. ​Ali Romanow is a multi-instrumentalist and music educator based on Vancouver Island, British Columbia. Competent on a variety of instruments Ali also brings her captivating vocals, original writing and arranging to whatever project she is currently focused on. Ali spends her time in Courtenay BC, where she directs the FolkHarmonic Orchestra. ​Sarah Jane Scouten is a songwriter originally from Bowen Island BC, where she grew up playing music roots and country music with her family. She has released three full length albums, garnering three Canadian Folk Music Award nominations. Coming up as a musician in the vibrant roots music community on the West Coast, she learned by playing with members of The Foggy Hogtown Boys, The Breakmen and Annielou. She has since relocated to Toronto and tours with her band throughout North America and Europe. She has shared the stage with Martha Wainwright, Martin Carthy and has opened for Corb Lund and Ron Sexsmith. In 2016 Sarah Jane began teaching songwriting in Toronto as weekly 'Songcraft Sessions'. She has since taught workshops across Canada and in Europe including weeklong workshops at Nimblefingers Bluegrass and Old Time Music Workshop.